Sunday is for mom, but the rest of the weekend in the Richmond Region is for craft beer, music, art, film, comedy and food. It&apos;s your Richmond Region Weekend. When: Friday 6 p.m. Where: Gallery 5 What? 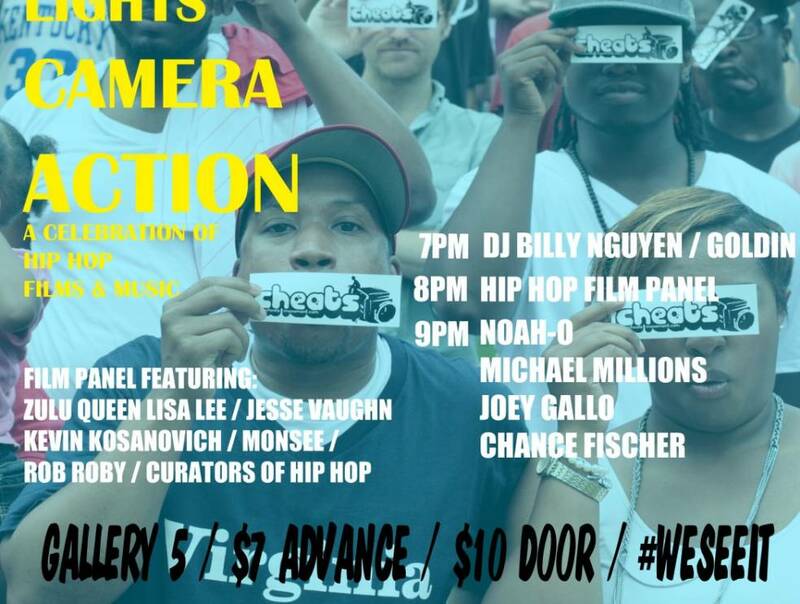 The Cheats Movement is curating this celebration of Hip Hop Films & Music. If you are a fan of hip hop culture, Gallery 5 will be the place to be on Friday May 8, 2015. They are bringing together a very special panel to discuss the impact of Hip Hop films on the culture. When: Friday 6 p.m. Where: Brown&apos;s Island What? Former Drive By Trucker&apos;s member Jason Isbell headlines this $10 concert on Brown&apos;s Island. Richmond Comedy Coalition: What Was I Thinking? When: Friday 10 p.m. Where: 8 W. Broad St. What? What Was I Thinking? features live improv comedy inspired by the awkwardness of adolescence. Each show, a Coalition performer will share their very real past journal entries, poetry, and artwork. Come watch as we spin hormones and heartache into comedy gold. When: Saturday morning Where: Rocketts Landing What? Help the Virginia Capital Trail Foundation make the Virginia Capital Trail a world-class adventure by joining us for another year of the fabulous Capital to Capital Bike Event. The ride traverses some of the most stunning scenery Virginia has to offer, as cyclists pedal through 400 years of history between Richmond and Williamsburg, Va. Enjoy well-stocked rest stops, awesome volunteers, delicious lunch, BEER, a vendor expo, and live entertainment -- a full day of outdoor fitness and fun! When: Saturday 2 - 10 p.m. Where: Hardywood Park Craft Brewery What? On Saturday, May 9th, Hardywood Park Craft Brewery is opening their arms to the city&apos;s creative community once again to benefit the local film collective Good Day RVA. When: Saturday Where: Pocahontas State Park What? A blues festival featuring: Layman Terms, 1 p.m.; the Jon Spear Band, 2 p.m.; Anthony & the Conqueroos, 3 p.m.; the Debbie Davies Band, 5 p.m.; and JP Soars & the Red Hots, 7 p.m. gates open at noon. 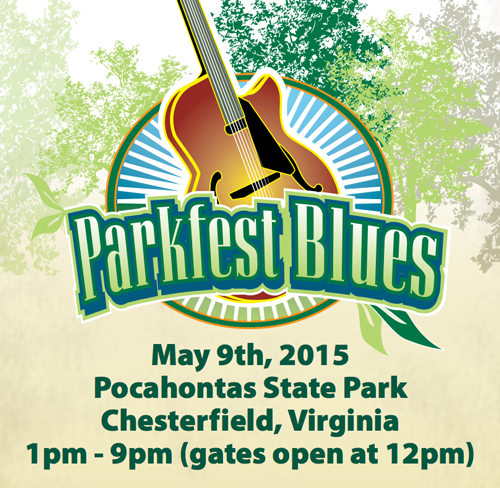 Food and retail vendors will be on-hand from noon until 8 p.m. A $5 parking fee per vehicle applies. When: Saturday 2 - 6 p.m. Where: Science Museum of Virginia What? Science on Tap craft beer festival featuring live music, interactive craft brewing demonstrations and a diverse collection of beer from across the Commonwealth! The first 1000 guests will receive a complimentary signature pint glass with admission. When: Sunday 6 p.m. Where: Forest Hill Park What? Grab your picnic blanket, pack some dinner and make a date for it. This week&apos;s act is alt country band the Atkinsons. Want more? Check out our calendar. River City Rapids has an awesome calendar too. Check RVANews&apos; calendar for even more.